BBC Midlands has an updated set for “East Midlands Today” with a virtual set extension. The update was completed over the Easter weekend and trades RP screens for new monitors. 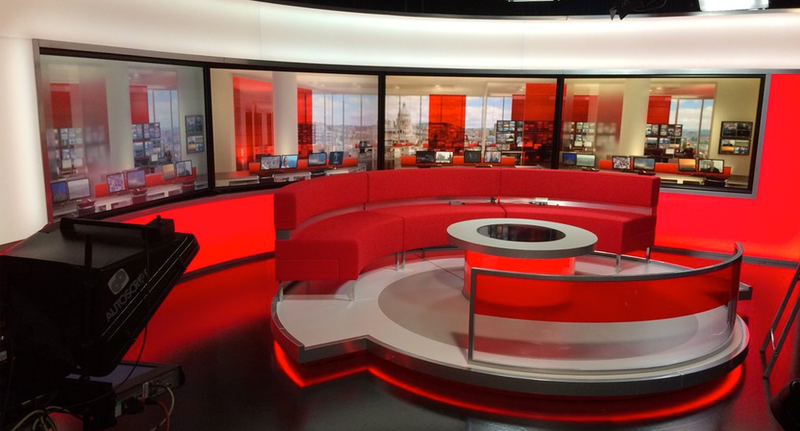 The new look, designed by Jago Design, maintains the BBC’s trademark China red in prominent locations and also features a curved couch with rounded, internally lit coffee table and accent railings ringing the riser. The main background image, shown on large video panels, is a newsroom virtual set extension by Jim Mann’s Lightwell.